Colleen Gulick, a Pennsylvania native, is one of the smartest and strongest athletes in World Cycling League, blending her intellect with both power and speed. 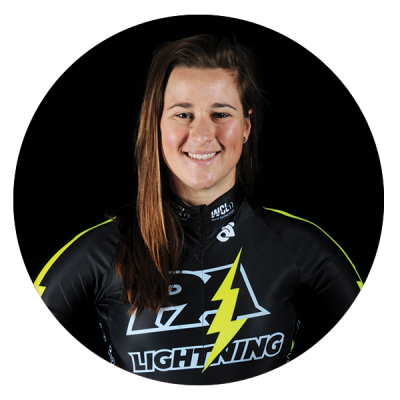 Coached by Gil Hatton, the PA Lightning team manager, Colleen is a well-rounded endurance rider who brings an explosive element to the endurance field. She gained incredible experience at her home track in T-Town Pennsylvania and now currently trains at the Los Angeles VELO Sports Center. Look out for Colleen to grab point sprints in the endurance competitions.